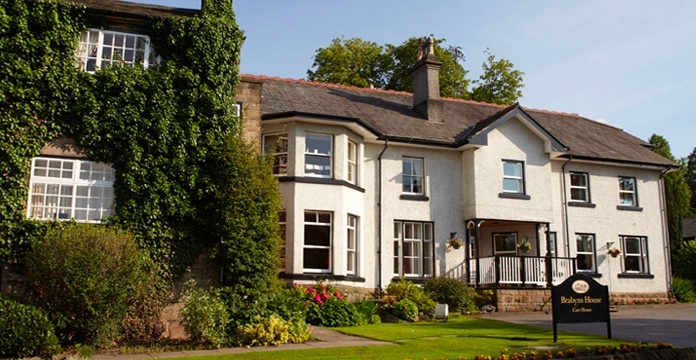 Brabyns House is part of a family business which has been providing quality care for over 25 years. The home is set in maintained grounds in the Brabyns conservation area of Marple, Cheshire. The building was converted to its present usage in 1986 and we continue to strive to improve the quality of life of our residents through the provision of excellent long term care and accommodation. The home is situated within convenient walking distance of Marple village and the immediate surrounding area of the home provides superb scenery including Brabyns Park, which consists of 90 acres of beautiful park and woodland. Our professional staff are dedicated carers who promote independence and personal choice. The registered manager for the home is Val Ogden. Val is supported by Ann Holgate who is full-time at Brabyns. It is in developing our staff team, through training and guidance, that we are committed to maintaining the quality of care and support we provide. Brabyns House has been upgraded and improved over the years and maintains its charm and character, with many period features throughout. It is furnished to a very high standard, adding to its comfortable and relaxing atmosphere. Copyright © Berrycroftcare. All Rights Reserved.